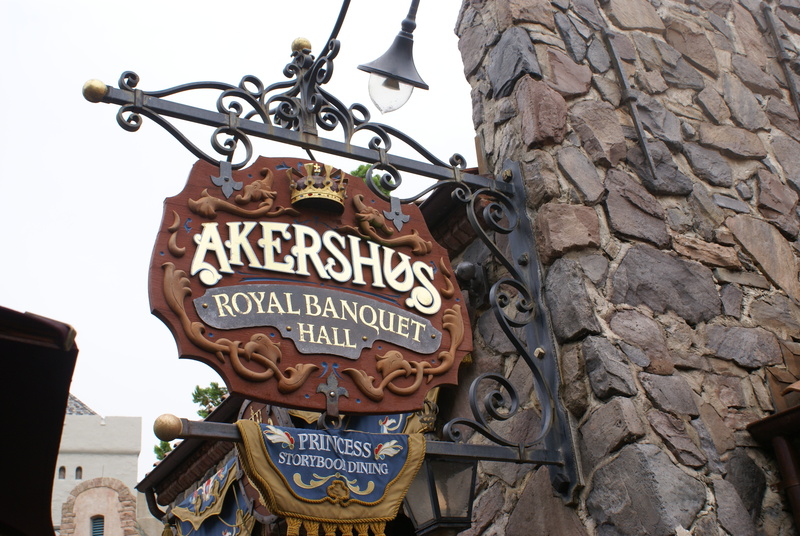 Located in Norway in Epcot’s World Showcase, Akershus is one of the lesser know princess character meals, probably because you don’t often see princesses outside of the Magic Kingdom. Nevertheless, I’d read about it on DisneyFoodBlog.com, and I can’t deny they had me at words ‘cheapest princess meal’ (not that it mattered much to us on the Disney Dining Plan), and when travelling with young girls, princesses are super important. You’ve gotta hope you visit in good weather, cos you’ll be waiting for your table outside until your ‘Royal Family’ is announced. Before you’re seated, you have the opportunity to have photos taken with one of the visiting princesses, we had Belle. Don’t miss this, you’ll get 3 poses, which during your meal are printed up and presented to you by the end of your meal, all included in the price much to our surprise! The dining style is a little odd.. Once seated, you’re invited to serve yourself appetisers from a buffet style selection of bread, sliced meats and cheeses etc. You then select your main from the menu of Scandinavian style options, sit back and enjoy as the princesses come to you! We were visited by Aurora, Snow White, Ariel and Cinderella, having already met Belle on our way in. 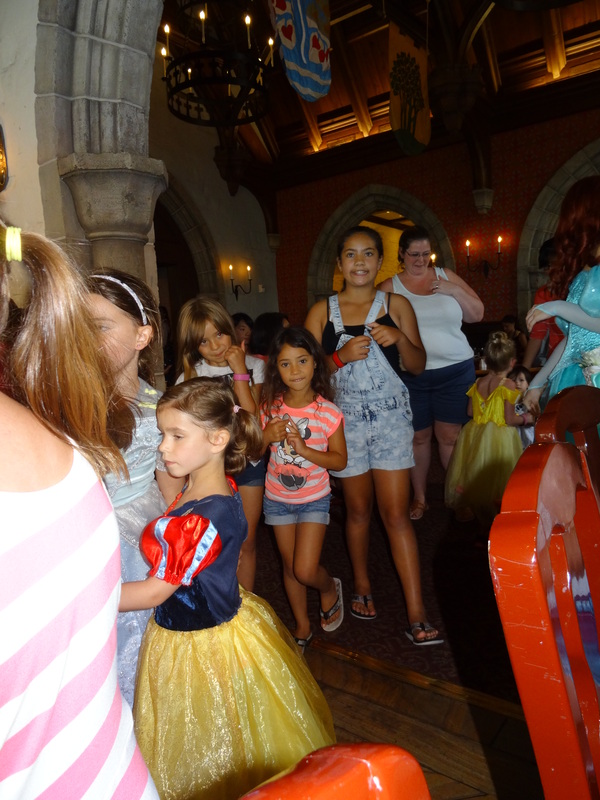 They chatted to the girls, signed autograph books and posed for photos, it was a great way of meeting lots of princesses without having to queue elsewhere. Following your meal, there is a prince and princess procession where kids can line up with the princesses and parade around the restaurant to music and applause from everyone else, little ones will love it! 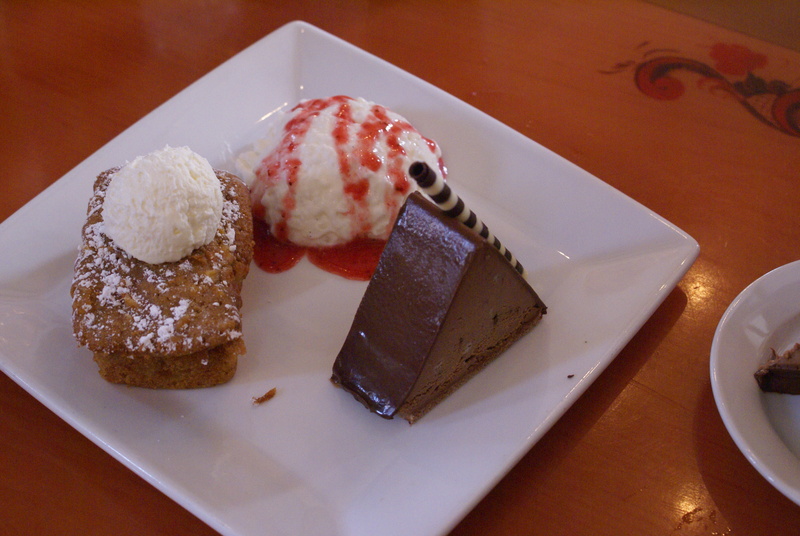 Following the main meal, dessert is served family style; a selection of options are presented on a single plate for you to pick and choose from. Overall the food was alright, but definitely wasn’t the best meal we had. 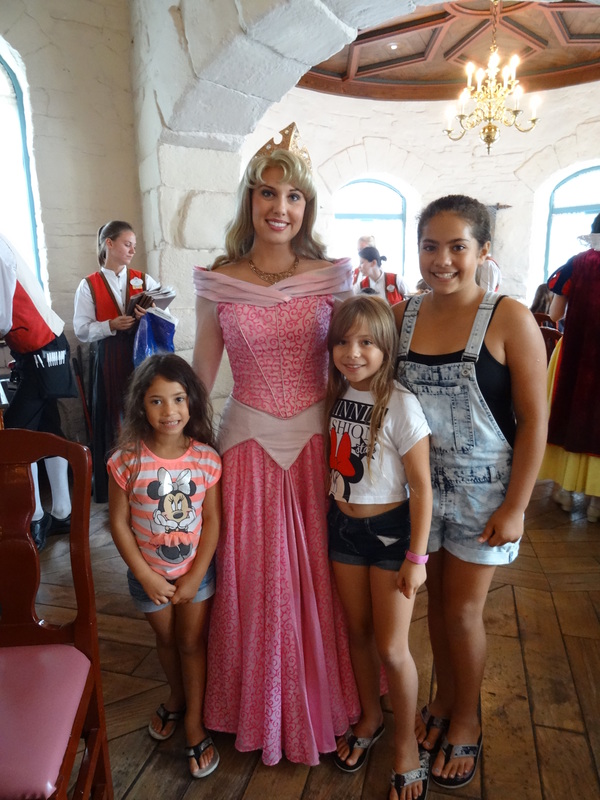 That being said, the experience of the meal was great as it meant we got to spend a lot of time with princesses, and the included photo prints were a fab plus! 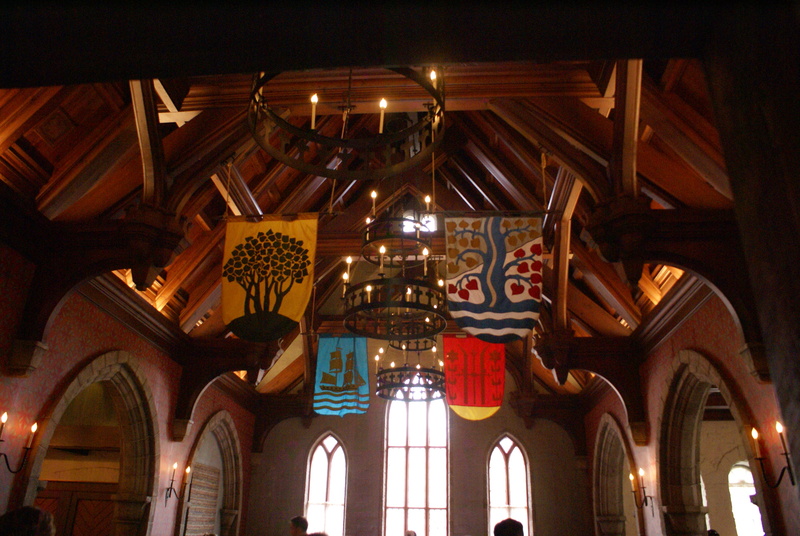 This entry was posted in dining review, Disney, Disney Food and Drink, Disney World Tips + Secrets, Epcot, princesses and tagged Akershus Royal Banquet, Disney World, Epcot, restaurant. Bookmark the permalink.